Bonus update! Are you surprised? I am too! I was so focused on the Indiegogo campaign, I never considered someone would flick the extra update switch on our member’s donation page! It might make this an interesting week; as we are currently one pre-order away from reaching 75% on the Indiegogo Campaign; at which point another bonus update will be scheduled. It is very likely we will hit that mark this week, and assuming we do, that update will be scheduled for Friday so things aren’t too clustered and confusing on your feeds. That will make this a S/W/F update week. I am sorry I have not been responsive to comments on the last page; it was a very busy, stressful week. But I do hope to catch up later today. Thank you to those who went ahead and answered some questions on my behalf! 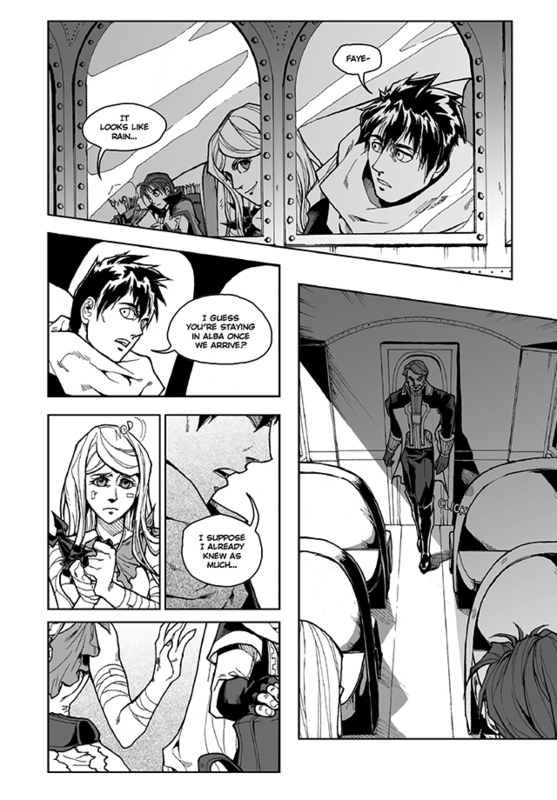 We are in the final month of fundraising for the print run of Chapter Three. If you haven’t visited the campaign yet please do so! If you already have – please consider visiting it again and using the share tools to pass along the word. It’s the perfect time! Every little bit helps, as I am so grateful for all of the support we have received both through financial contributions and encouraging comments. The way he’s entering seems a tad foreboding aye? “Sinister” was the term that came to my mind. ‘Sinister’ sounds about right to me. Everything about him seems a tad foreboding thus far . . .
Glad I ‘liked’ you folks on Facebook. Otherwise I might not have caught the bonus update. Bonus updates make me happy. Lord E’s entrance seems less than happy, though. He looks genuinely scary in that last frame. And not the “keep your hands off my daughter, mage-boy” kind of scary. The fact that he doesn’t seem overly happy to see his daughter nor all that welcoming toward her friends keeps making my spider-senses tingle. (Actually, he seems kind of annoyed at her friends…) I can’t help but feel like this is our lovely storytellers’ way of warning us to brace for impact. Also, compliments once again in Rebecca’s direction for Faye’s cute little grin in that first panel. 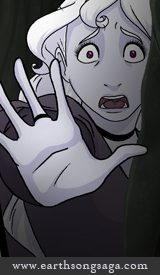 Aside from Hannelore Ellicott-Chathem, I can’t think of a character in webcomics who I’ve wanted to hug more often. Very sad. :( It’s almost as if he’s… dare I say… sad Faye won’t be travelling with him any more? I am loving the Faye/Accel moments lately!!! Interesting that Faye has the aisle seat while Accel has the window. Make it easier for Faye to run?